UPSEE 2019 Counselling will start from 10th June 2019. It is conducted through online mode. Dr A.P.J. 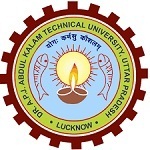 Abdul Kalam Technical University, Uttar Pradesh organize AKTU/UPTU Counselling 2019. The university conducts a state level examination in name of Uttar Pradesh State Entrance Exam (UPSEE) for providing admission to the UG & PG courses in the field of engineering, management, etc. Through this article, candidates can get complete information about AKTU Counselling 2019. Here, we are providing details about the schedule, procedure, admission, etc. It will be conducted in five rounds, including spot counselling (if seats remain vacant). The AKTU Counselling 2019 fee will be Rs. 1000/-. It will be adjusted at the time of admission with the college fee. Candidates should also upload their documents scan copy for verification through online mode. Candidates should fill many choices of colleges/courses to avoid seat missing. Candidates should also edit their choices before locking them. It is necessary to lock the filled choices. In case, the candidate not get their preferred choice seat in the first round of UPTU 2019 counselling. They can appear in the second round of counselling. If candidates get a seat during the later round of counselling, then their earlier allotted seat (if any) is automatically cancelled. UPSEE 2019 Cut Off is the minimum marks which consider for admission in UP Colleges. The cut off is the minimum marks which candidates have to secured in the examination to qualify the examination. Firstly, candidates have to register for the counselling through online mode. It will begin from 10th June 2019. Candidates can register for counselling by entering their application number & password. During registration, candidates have to pay a counselling fee of Rs. 1000/-. The fee can be paid through online mode (credit card/debit card/internet banking). After fee payment, candidates also have to upload the scanned copy of all documents/certificates. The size of each document is maximum 200 KB. Candidate’s documents/certificates is verified by the university through online mode. Candidates belonging to OBC category, their caste certificate is made after 1st April 2019. After successful fee payment & transaction is updated at the NIC server of UPSEE 2019, the “Choice Filling & Locking” link is activated immediately on the login page. Candidates can fill their choices of college & courses as per their preferences. Candidates should fill the maximum number of choices. Candidates should lock the filled choices in a specified period. Otherwise, the choices filled by the candidates at the end of the specified period are automatically locked by the system. Candidates can check the seat allotment result by entering their “Application Number” & “Password”. Candidates can also download their seat allotment letter for admission. The allotment of seat is carried out on the basis of UPSEE merit, availability of seats, subject to the order of preference given for the seats. After seat allotment, no change in the branch/institution is admissible. After the declaration of seat allotment result, candidates have to report at the allotted college in a given time period. Candidates seats will be automatically cancelled in case, they will not report at the allotted college in a given time. After that, the seat will be given to the next candidate. After completion of the counselling process, candidates will have to report at the allotted college with a provisional allotment letter. Candidates also have to bring the remaining amount of fee & all relevant documents (Original & one set of self-attested photocopies). It is compulsory to pay the remaining admission fee to confirm their seat & admission. Otherwise, the seat is allotted to another candidate. Candidates, those allotted a seat & get admission in the allotted institution, the fee submitted by them during counselling, without any deduction is adjusted against the Institution fee. If you have any other query about UPSEE Counselling 2019, you can ask us by leaving your comments below in the comment box. Sir mere 196 marks hai Meri obc 2377 rank hai kya …? Mujhe kio govt. collage mil jaayega B.pharma ke liye……. Sir I got 172 marks in uptu examination so can I get a government CLG?? sir…upsee counselling m jma ki gy fees admission na hone pr vaps hoti h ya nhi ?? ?please btayee sir ….because isme 20,000 rs. fees mention h. i m appear in paper2 and my result marks is 184. Rank in B.pharma= (GN 7524)(BC 3095)…. It will be confirmed after the seat allotment process. Sir/mam …. If I want to leave counseling then should counseling fees return or not ? I got 288 marks in uptu. Can I get a government college?? I have scored 192 and my rank is GN 1215 which govt college i will get for MBA. Sir. Mera 400 no. Hai to bhandara Kaha or kab ho rha h . Bhukh lag rhi h bhut tej.. plzzzz reply me sir. is it compulsory to pay 20000 Rs as counseling fee. I have scored 240 and my rank is GN 28908 which govt college i will get for Mech. Engineering. I want to know that the character certificate which you required who will it either it will be issue by school or by a Gazetted officer. Sir ,yadi counseling ke samay tak domicile certificate student ka nahin bana ho to kya counseling me student participate nahin kar jayega. Please answer. my rank is 10856 is in b pharmacy . Can you please tell me whether or not I apply to this rank or not? Mera uptu me 224(obc)no h. Kya sarkari college millega? Applied for b pharmacy. My obc rank is 245 for pg MCA exam 2018.what can any goverment MCA collage for me. Hey! I got 204 numbers in aktu 2018 . I wanna ask that it is necessary to pay 20,000 rupees while filling for counseling .Should i go for it??? do we have to pay the 20000 rupees in every round of counselling and what does it mean to get remaining fees adjusted without deduction? Sir I got 212 marks . Sir now what I will do for councling? The fee submitted at the time of registration will reimburse?? What is sub category certificate and domicile certificate? Sir , Do I need to submit all the documents at counseling time or I can submit later to the college alloted for me. Please reply. Sir,after which date certificates should be issued. B pharma ke papper me 150 number hai governmented collage milne ke kitne chance hai category obc hai. I got 228 marks in upsee (general category) am I eligible to get IERT computer science course.Please reply. i belong sc cat. n i got 300 mrks in uptu (b.tech).which clg can i get for CSE or ME.how should i get med. certificate? I got 152 marks in uptu. Am i qualified or not?? It will be mentioned in your result. We will have to submit Medical certificate issued by which authority ? E re aktu me 164marks hai muje kya govt college mil skta hai? Appear in counselling. It will be confirmed only at that time. appear in the CCMT counselling, and look for the admission in universities & colleges accepting GATE score. Will the entire process of counselling take place online.